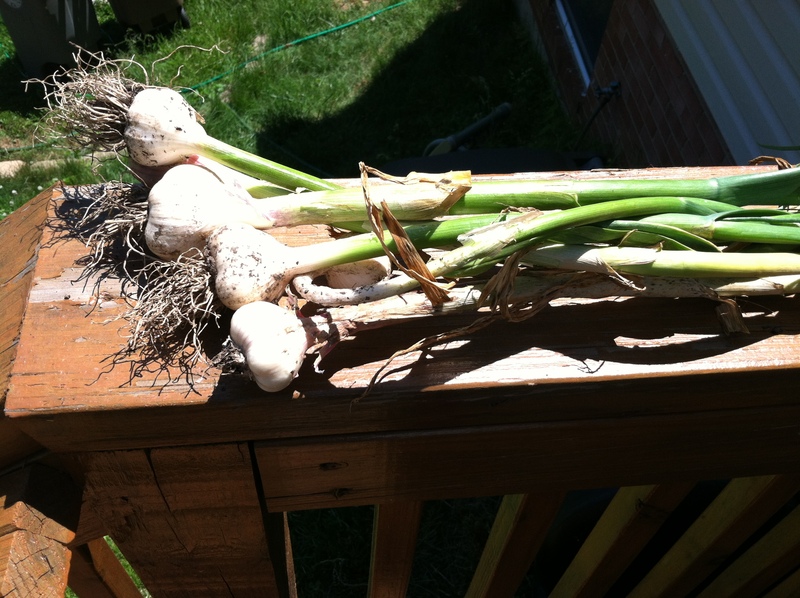 This entry was posted in food, gardening and tagged gardening, garlic, onions, permaculture. Bookmark the permalink. 3 Responses to Alliums For the Win! What a difference a few hundred miles make! My onions always did very well in Albany, New York even though I never planted them on St. Patrick’s Day — some years I couldn’t even *find* my garden in March! When I started spading a few square feet every day, my goal was to raise all my own vegetables, and onions and seasonings were all that reliably produced a year’s supply. As my mother taught me, I’d lay them out in the garden for a few days, then spread them out on newspapers in the garage –Mom used the coal room– until the tops dried, then trim and mesh-bag them and hang them in the cellar — onions don’t like damp, but it was dry just under the floorboards. Sometimes I’d get fancy and braid the tops together; braids of onions looked really cool, and storing onions that way kept rotting onions from infecting others. I haven’t grown any alliums except garlic chives (which seem to have done well being mostly neglected), but my parents have had good luck growing garlic. Their only problem seems to be that the garlic companion-planted around their blueberry bushes has not succeeded in protecting said bushes from deer.